Leadership Arts 2018-2019 Session #9 is our annual Board Fair & Graduation Celebration. The Board Fair (4:00 – 5:30 pm) is attended by 50+ cultural nonprofits from across the metro area looking start the conversation with Leadership Arts graduates about board service and volunteer positions. The Board Fair is followed by the Leadership Arts Graduation Celebration (5:30 – 7:30 pm). This reception with includes food, drinks and entertainment is open to the current graduating class and all Leadership Arts alumni. Graduation certificates for the Leadership Arts 2019 class will be presented. 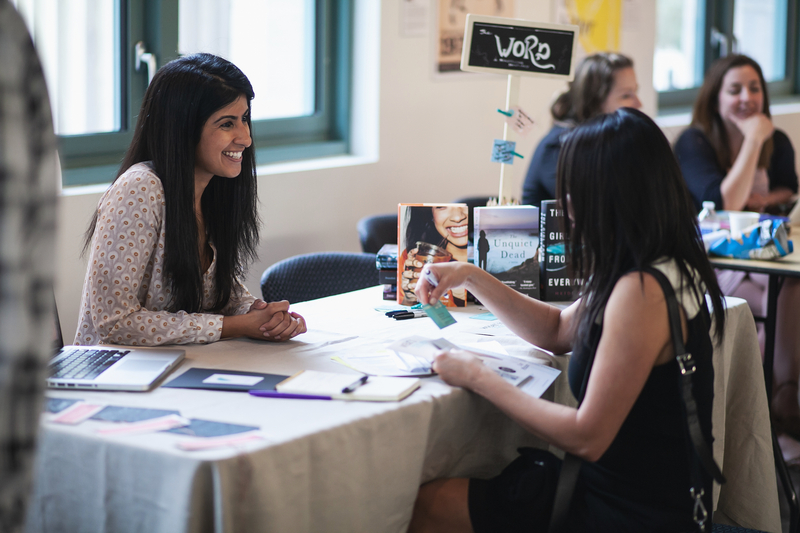 Registration is now open for cultural nonprofits interested in participating at the Board Fair. Registration forms must be submitted by Wednesday, April 24 in order to be included in this year’s Board Fair. CBCA’s Leadership Arts Board Fair has grown over the years. CBCA is happy to offer complimentary participation at the Board Fair to cultural nonprofits who are CBCA Members. If you/your organization is not a CBCA Member, there is a $25 registration fee to help cover the cost of this event. We want all participating organizations to put their best foot forward. To help you prepare, here are some useful Board Fair Recruiting Materials. We also encourage organizations to be ready with other opportunities for people to get involved, such as committee positions, pro bono services, advisory roles, volunteering, etc. All Leadership Arts alumni are invited and encouraged to attend both the Board Fair and the Graduation Celebration. Contact Meredith at mbadler@cbca.org to RSVP.